Friend, brother, son. This is how Eddie O’Toole describes Jonathan ‘Jay’ Langa, his former Little Brother. The pair were matched when Jay was 8 years old. His father had recently left the family after a debilitating stroke which altered his personality. Left to raise a young family by herself, Jay’s mother Fatima didn’t know what to do. “[Jay] was confused and lost”, she said. Luckily, her sister had a friend who had approached Big Brothers for her own son and passed along a recommendation. Soon after, Fatima and Jay went to meet Jay’s Big Brother at the Big Brothers Big Sisters Toronto office. Throughout their 10 years as Big Brother and Little Brother they tried many activities and went on lots of outings including hockey, basketball and football games where Jay quickly discovered his passion – football. “Jay told me he wanted to be an NFL player from a very young age” said Eddie. With Eddie’s relentless encouragement, Jay went on to university where he received a scholarship, played on the football team, and won the President’s cup along the way. 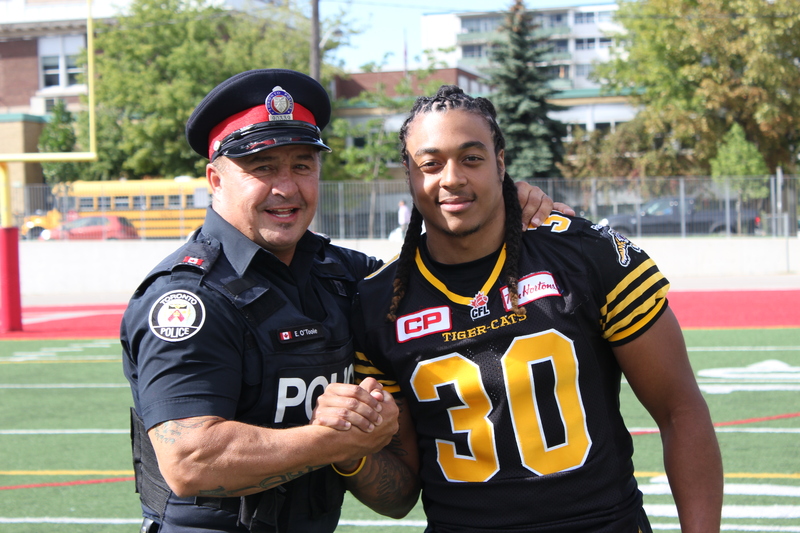 In 2015 Jay began his rookie year in the CFL playing for the Hamilton Tiger-cats. As for the future, he plans to use his criminology degree to become a police officer, just like his Big Brother Eddie. On the challenges he faced as a young boy and being introduced to Eddie through Big Brothers Big Sisters Jay says “I am thankful to this day for that. I was so angry at the world, nothing seemed fair and I couldn’t understand it. Eddie came into my life at a key moment. To have someone to talk to about sports and other stuff helped me calm down and taught me to overcome challenges.” For all that Eddie has done for him, Jay is planning on giving back by becoming a Big Brother himself in the off-season.